Apple today released an updated version of iOS 12.1 for the iPhone XR, one week after the initial launch of iOS 12.1 and a little over a week since the iPhone XR's October 26 launch. The new iOS 12.1 software for the iPhone XR carries a build number of 16B94, a slight change from the original 16B93 build number. The update doesn't appear to be showing up on devices that have already installed iOS 12.1, suggesting the new version of the software is designed for customers who have not yet upgraded their iPhone XR devices to the iOS 12.1 update. Why Apple released an updated version of iOS 12.1 for the XR is unknown, but it's likely to include minor bug fixes. iPhone XR owners who have not yet installed iOS 12.1 can do so over-the-air by going to Settings --> General --> Software Update. iOS 12.1 is a major update that brings a host of new features to the iPhone XR. It brings support for the eSIM, a digital SIM that lets you activate a cellular plan from a carrier without the need to use a physical SIM card. eSIM support is not yet available from U.S. carriers, but AT&T, Verizon, and T-Mobile are working on implementing support before the end of the year. Other carriers around the world have begun introducing eSIM support. 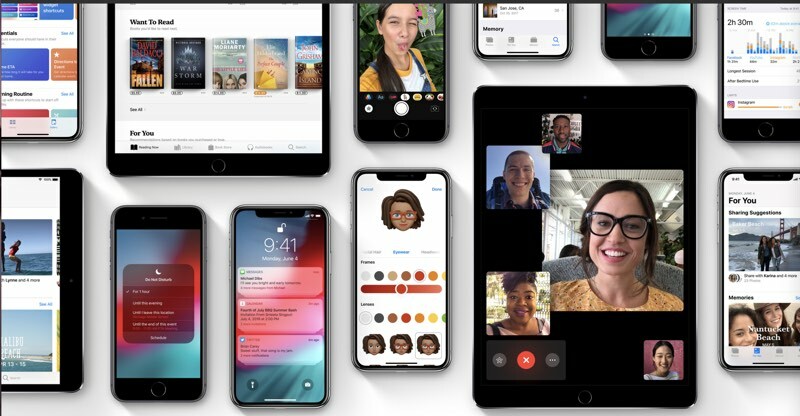 iOS 12.1 also brings a new real-time Depth Control feature, which lets you adjust the depth of field of your Portrait Mode photos before you capture them, and it adds support for Group FaceTime calls with up to 32 people. Other new features include more than 70 new emoji and several important bug fixes that should entice anyone who has not yet installed the update to do so. Excessive skin-smoothing with the front-facing camera, for example, has been addressed, with Apple updating the Smart HDR feature of the iPhone XR's camera to use a sharper base frame to preserve more detail. The update also improves cellular connectivity on the iPhone XR and fixes bugs with voicemails, the phone app, Screen Time, Family Sharing, and more. Maybe iOS 12.1 16B94 has further refined this feature. My favorite thing about the XR is the size. Its perfect to me. Not to big not too small. I wish they made the XS in that size 6.1"
So XR buyers what is the verdict so far? Are you happy? If you switched from a dual lens iPhone, do you miss that? How is the display? I haven’t had time to stop by an Apple Store recently. I’ve seen YouTube reviews but I prefer hearing from regular people. I love my XR so far. The screen is amazing in 95% of the situations: crisp, bright, with really accurate and eye pleasing colours. I'm really addicted to the screen. If you're watching a 21:9 movie, you only lose about 13% of the pixels (less the notch) compared to an old Plus phone despite the fact the XR has 28.5% less pixels because of the super wide 39:18 aspect ratio. Camera is excellent as well. The single lens portrait photos are surprisingly good if you can get past the wide angle subjects. Low light photos are good. I've never had a dual lens iPhone before but I thought I should take that money I save to buy a DSLR. The XR is $330 cheaper than the XS in Canada but I thought 64GB would be too small but didn't think I would need 256GB as I pay for the 2TB of iCloud storage, so I thought 128 GB would be a good size, so really I saved $460. $460 will go towards getting an entry level DSLR and superzoom lens. I want to get into some sports photography and no dual lens camera will do it. Coming from a 7 Plus with higher resolution and higher DPI, I expected to be slightly disappointed, but unless I stare intently at the screen, it looks just as sharp. I don't watch TV or movies on my iPhone, but movies look really good, particularly those with HDR/DV, and the audio is MUCH better than my 7 Plus. I'd recommend the XR to anybody. Thanks. Exactly the sort of opinion I was looking for! Played with one at the Apple Store and it seems like a gigantic leap forward from the previous "low-end" iPhone. Would recommend to people in the market for a new phone. Probably an update to throttle and drain the faster. I have an XR already updated to 12.1, so my device says it is up-to-date. If there is a fix required for the XR, I am not sure why it is not being offered to me. Plug into iTunes and it will offer the update (if you want it) No idea what was fixed though. DFU restore is your only option now. Nope, Itunes will offer the update if plug it in. No DFU required. Weird, iTunes offers to upgrade the phone to the new build. I installed and used the TruPhone app yesterday here in the United States on my iPhone XS Max. It's the only provider I know of that allows you to use the ESIM TODAY... for data. Not sure if I could set it up for anything else. That said, it seems to run only on 3G, which is kinda pathetic. But hey, it works. You're a master at GIF. Sometimes I come onto these forums to see your newest GIF. Wow it removed all that Photoshop work you did to make yourself beautiful. I switched from an original Pixel XL. This is my first iPhone ever and I couldn't be happier. The camera has been fine so far. I haven't noticed any loss in quality compared to the Pixel, and the portrait mode is excellent. The display is really nice. My only complaints are some apps, mainly a couple of games that I play, that do not appear to be optimized for the XR's screen resolution. Certain parts that looked fine on my Pixel now have letterboxing or funky aspect ratios. I really enjoy the convenience of wireless charging, especially for my car mounts, and the battery life blows the Pixel out of the water.